Save AED 55 (64.71%) – Earn 3 Shukrans What is Shukran? Shukran is the Landmark Group’s award-winning loyalty programme in the Middle East, which allows you to earn Shukrans when you shop any of our brands. 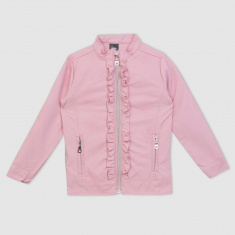 Let your little one leave a lasting impression as she walks in this jacket. 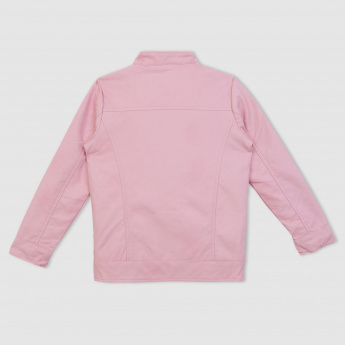 The excellent-quality fabric is extremely soft on the body and gives a snug fit. It also ensures that the jacket lasts for a long time. The frill detailing looks lovely on the front.